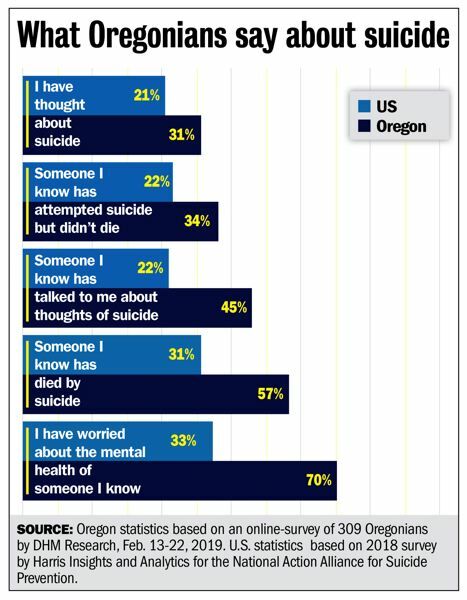 • 70 percent of Oregonians have spent time worrying about a friend or family member's mental state. The national average is 33 percent. 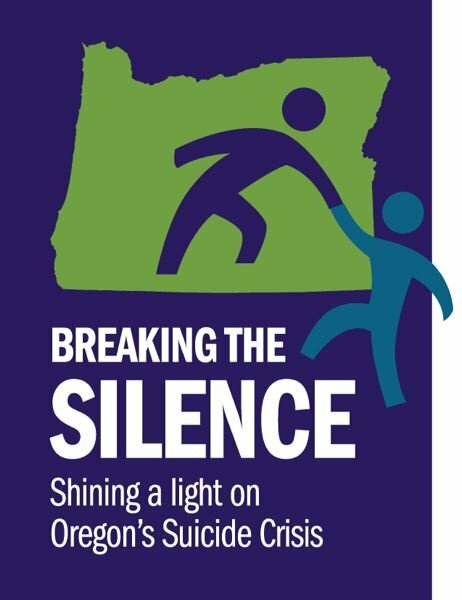 • About 34 percent of Oregonians know someone who has survived a suicide attempt, as opposed to 22 percent nationally. • Only 9 percent of state residents report no familiarity with suicidal thoughts or actions in their lives, compared to 28 percent of all Americans. "I don't consider it to be a dark topic," said one participant, a Beaverton resident named Danny. "Someone who (attempts) suicide is someone who has been pushed to their limit. They couldn't think of any other way, and if they didn't seek out others to help them, then that's the course they chose." In April, newsrooms across the state are highlighting the public health crisis of death by suicide in Oregon. The goal of this unprecedented collaboration is not only to put a spotlight on a problem that claimed the lives of more than 800 people last year, but also to examine research into how prevention can and does work and offer our readers, listeners and viewers resources to help if they — or those they know — are in crisis. Most of the work of "Breaking the Silence" will be published and broadcast April 7 to 14. The participating media outlets are using a common set of data to ensure consistency, and we have loosely coordinated our coverage in an effort to avoid duplication and better amplify all of our work. When possible, we will promote one another's stories, but all of them can be found on breakingthesilenceor.com. One reason journalists long have shied away from reporting on individual suicides, except in rare circumstances, is the worry that attention to suicides might cause a "contagion effect" or cause harm to surviving friends and family members. The journalism of each newsroom has been independent, guided by local editors and best suited for their local communities. Our hope, however, is that by working collaboratively and promoting one another's work, this group effort will allow us to shine a brighter light on this problem.